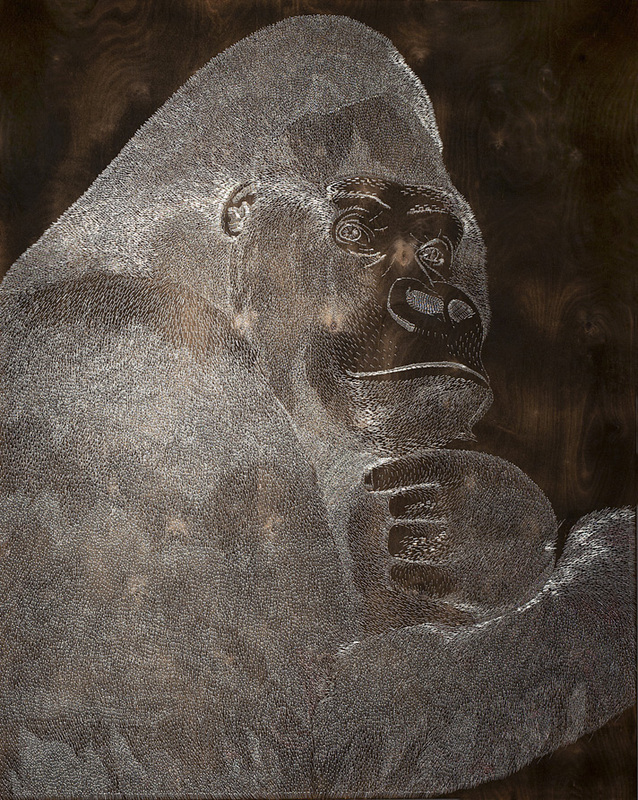 Using a staple gun as a symbol of the poachers’ deadly shooting of gorillas, I turned the tragedy of their killing into portraits of a silverback gorilla. 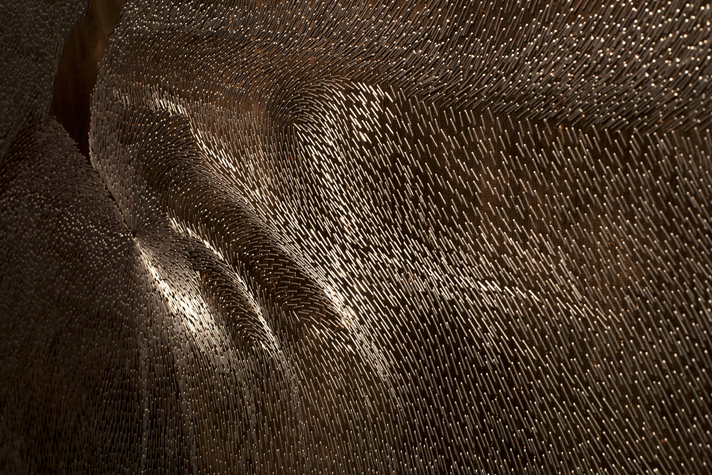 I shot countless staples into burnt wood to create my portraits. 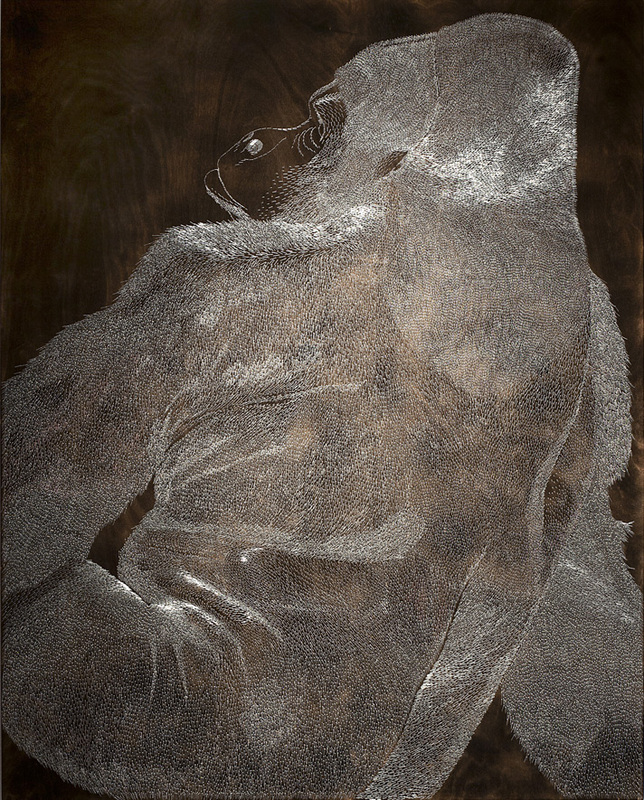 Only slowly, as I worked toward completing the series, did I become aware of an additional meaning suggested by the work: With the common touchstones of systematic killing, large-scale captivity, and an agenda of cruelty driven by economic incentive, I located unavoidable parallels with the sad history of the transatlantic slave trade. 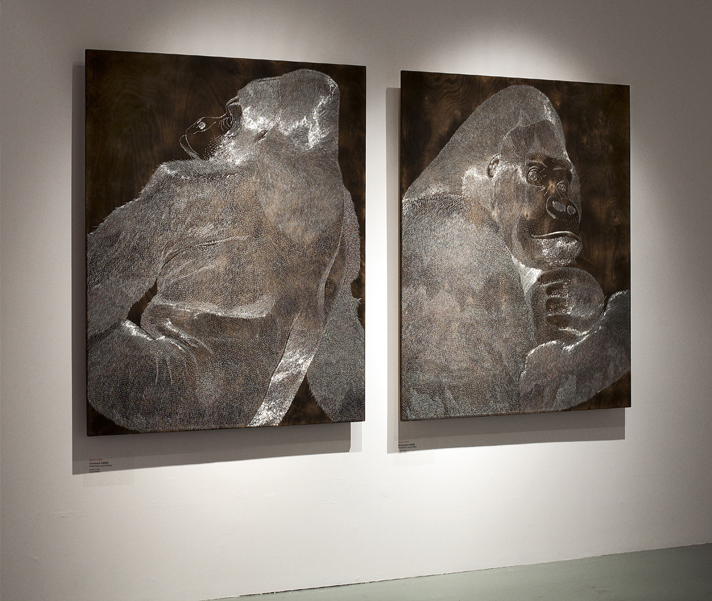 Silverback I, Silverback II, 2005. 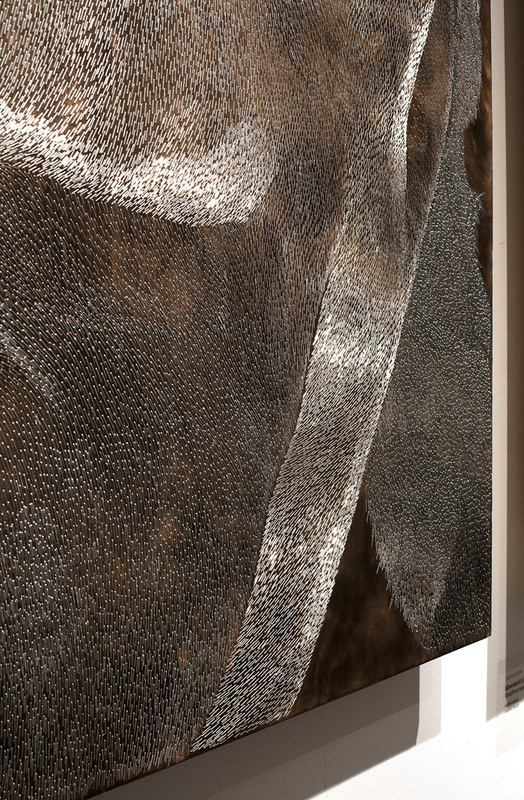 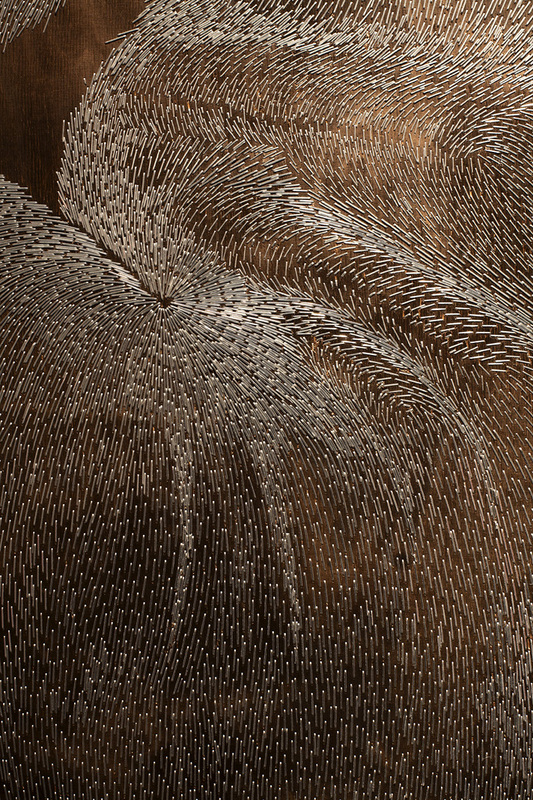 Metal staples on fire burned birch wood, 120 x 150 cm.